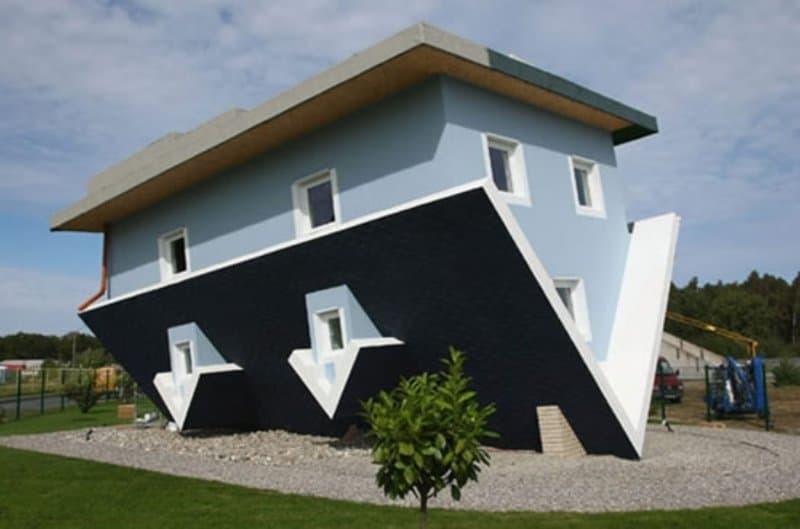 All across the United States, homes that have been completely flipped upside down as an attraction are made available for a few dollars. 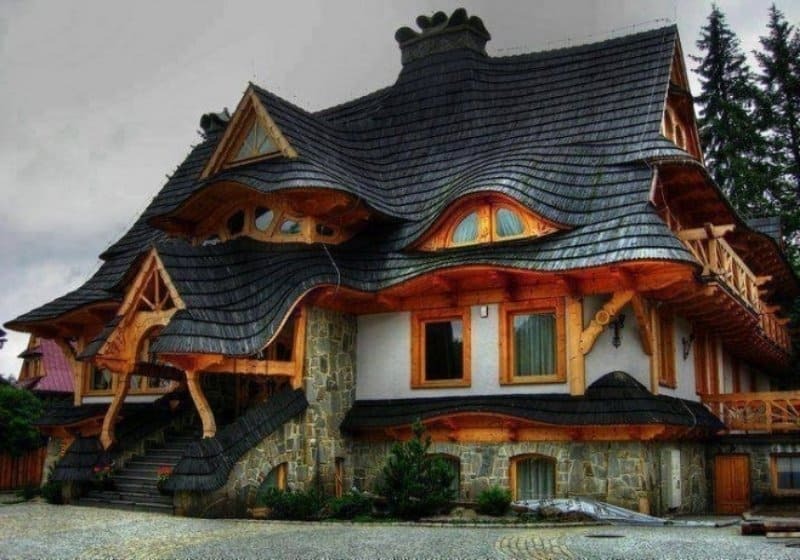 Just imagine living inside one such house, however. Walking in and taking your shoes off on the ceiling will never get old when you come home from work. 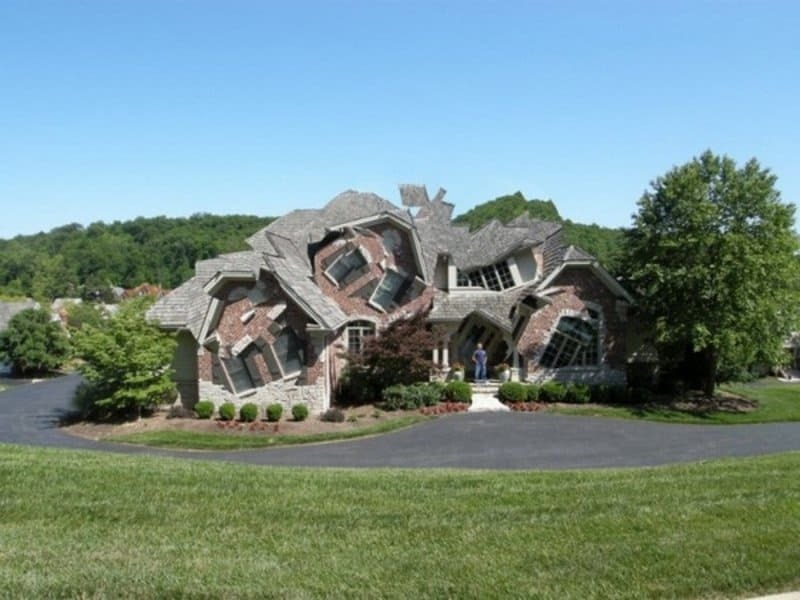 Much like the earthquake-style home, this house looks as if it were hit with some type of force that warped every inch of it. It would be interesting to see if the interior of the home matches the outside. 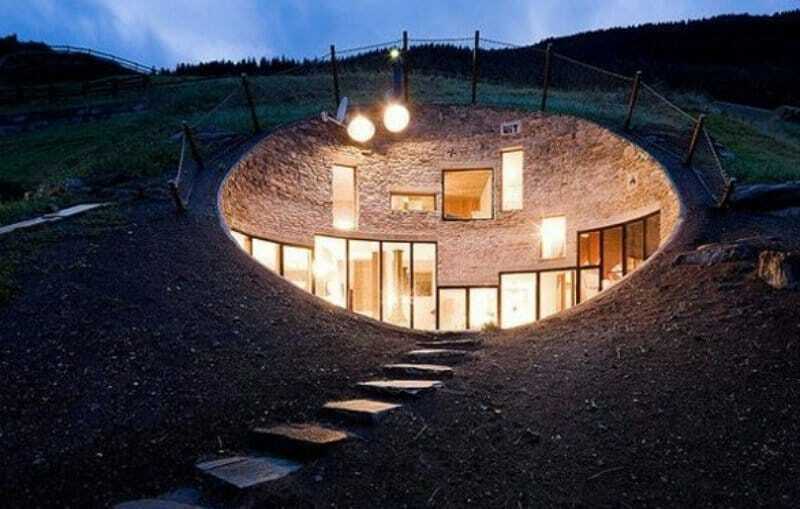 If it did, then living here would be like coming home to an Alice in Wonderland-style party every night. 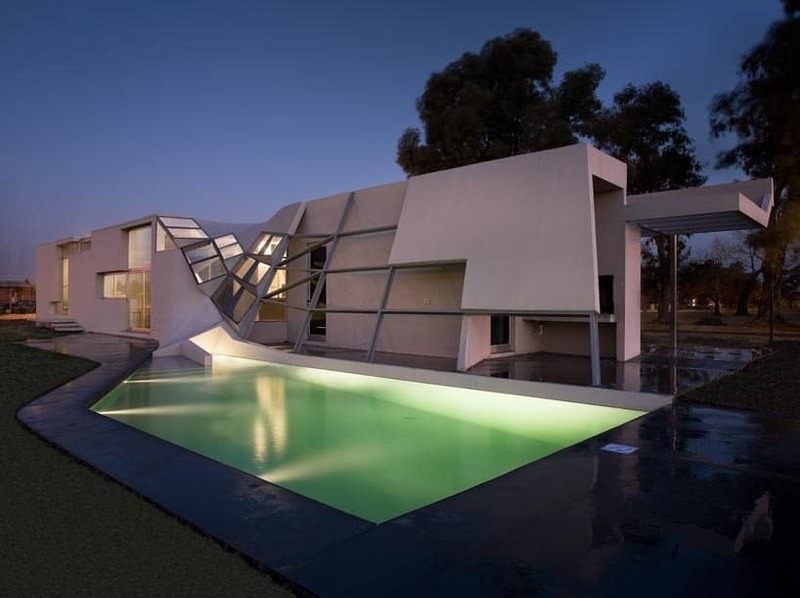 This home – known as the UFO House – is located within Taiwan. 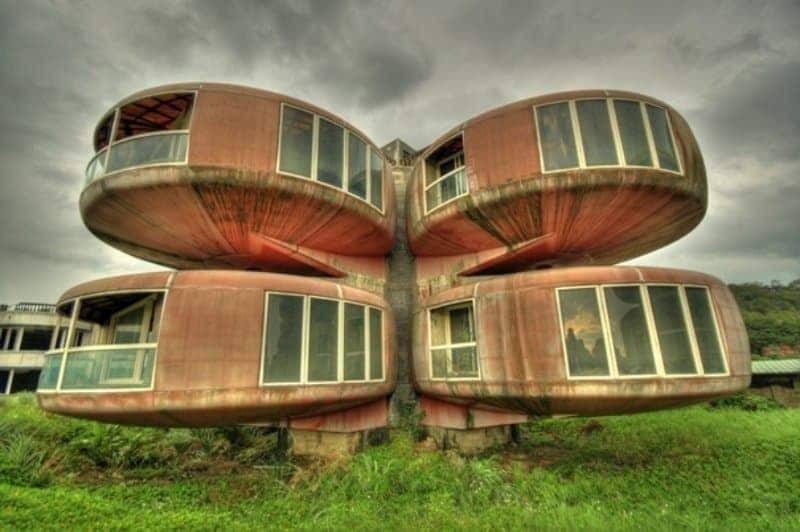 For those who have wondered what it would be like to be kidnapped by aliens and forced to live within their ship for a few years, this house should offer some semblance of that experience. 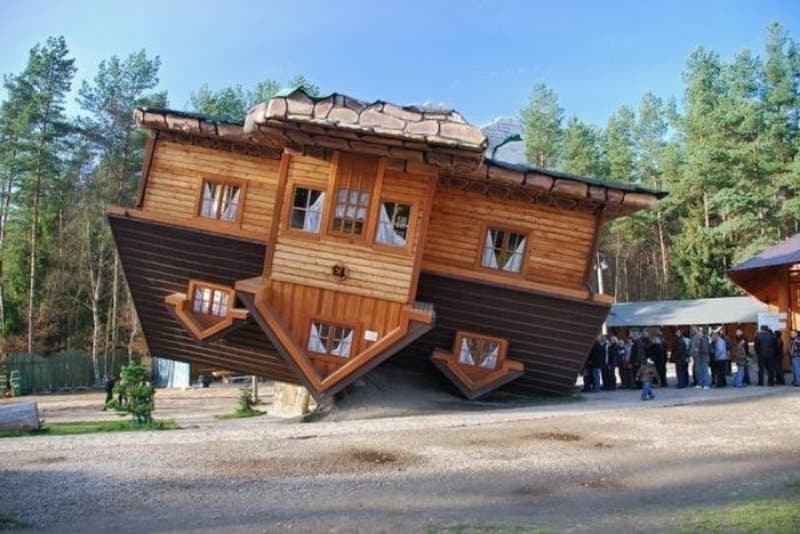 Like the previous upside down home, this is the type of house that is more interesting to really see from the outside than it is to actually live there. The door, from the looks of the picture, is near the top. If you want to live here, then you’re going to have to deal with the crowds exploring daily. 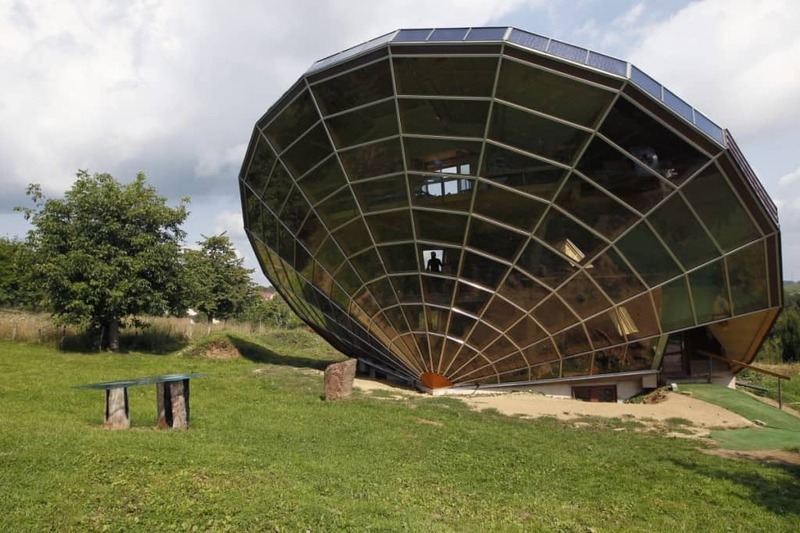 Having an one entire side of your house made of glass is just asking for a rock to be thrown by the local children. However, it also offers one of the best views surrounding the scenic home, too. The interior appears to be separated into multiple tiers, with each tier broken down into various rooms. 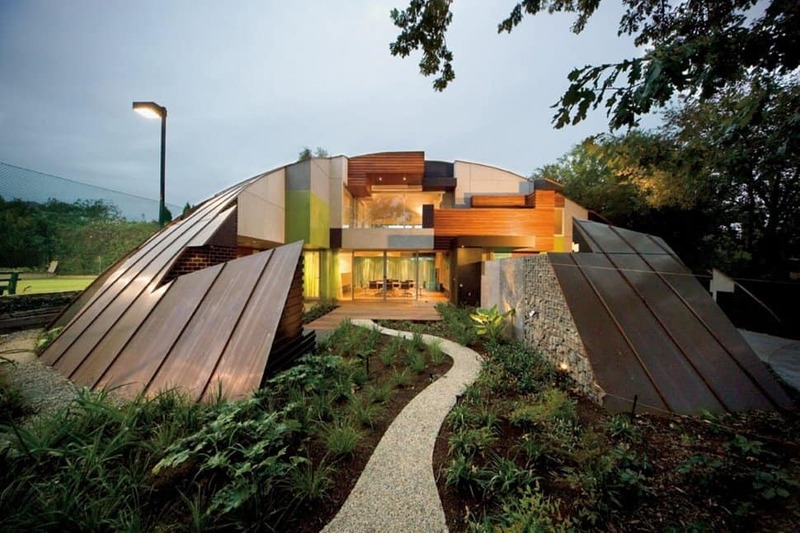 This house actually looks rather nice, despite the center of the building being bet inward towards the floor. From the interior, though, this section probably offers an impressive view of the sky above, especially at night. The pool, on the other hand, appears perfect. If you ever want to stand out at night and ensure no one drops a bomb or runs into your house in the woods, then this is the one you’re going to want to pick out. Each section appears to be in a different color. Most people are either going to love it or believe it’s an eye sore. 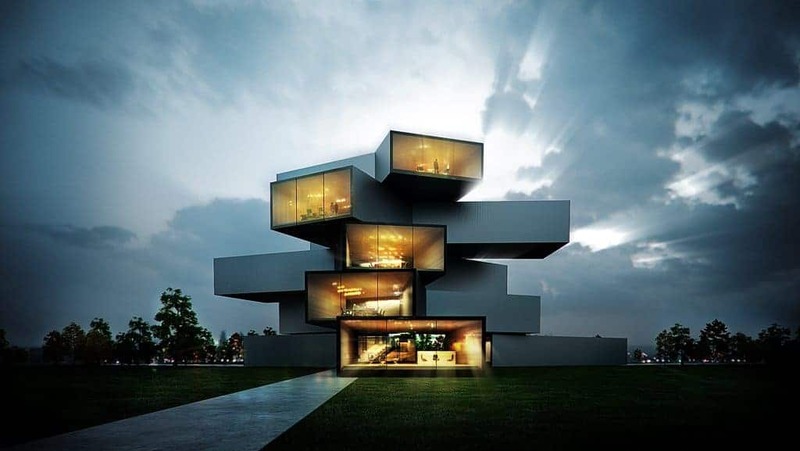 I’m sure you’ve wanted to live in a Jenga tower at some point in your life. I mean, what grown adult doesn’t? It’s interesting to think about how the interior of this home appears, as the center pieces are aligned, but the rest is separate. An elevator or staircase in the middle may connect it all together. If you grew up a flower child, then chances are you either adapted that lifestyle into your own or would prefer to forget it. 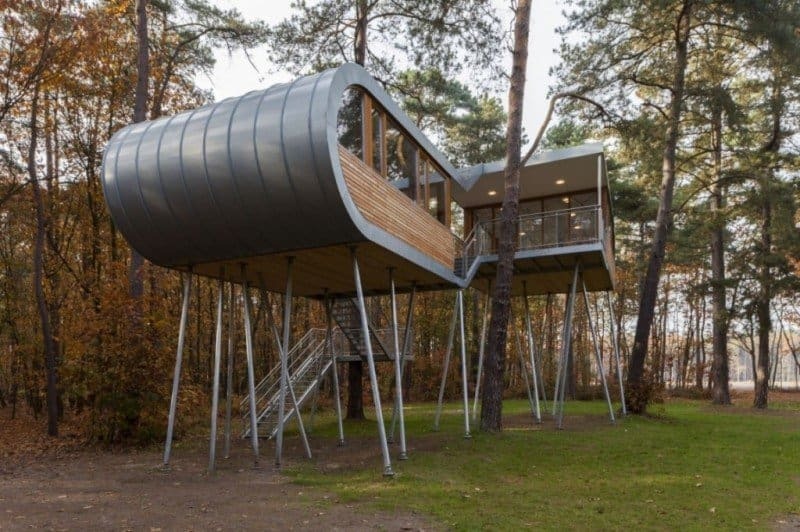 If it’s the former, then this tree fort-style home would be perfect to live within. It’s centered perfectly in the middle of a forested area, supported by metal beams, and built from strong lumber. Fairy tales have told of the woman living in a shoe for as long as anyone can remember, but can you actually imagine living in one? 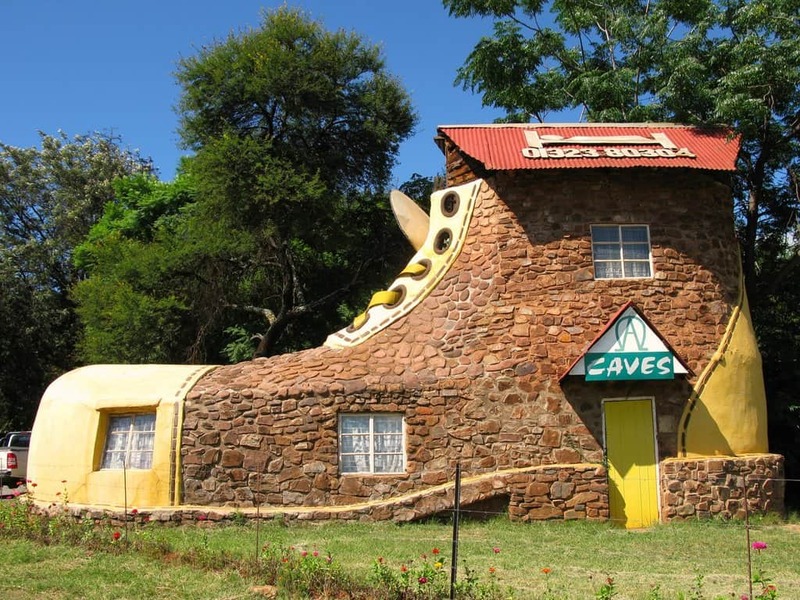 This stone house was built to appear exactly like a boot, laces and all. If you buy this, then you probably want to show it off on Facebook…or never tell anyone. 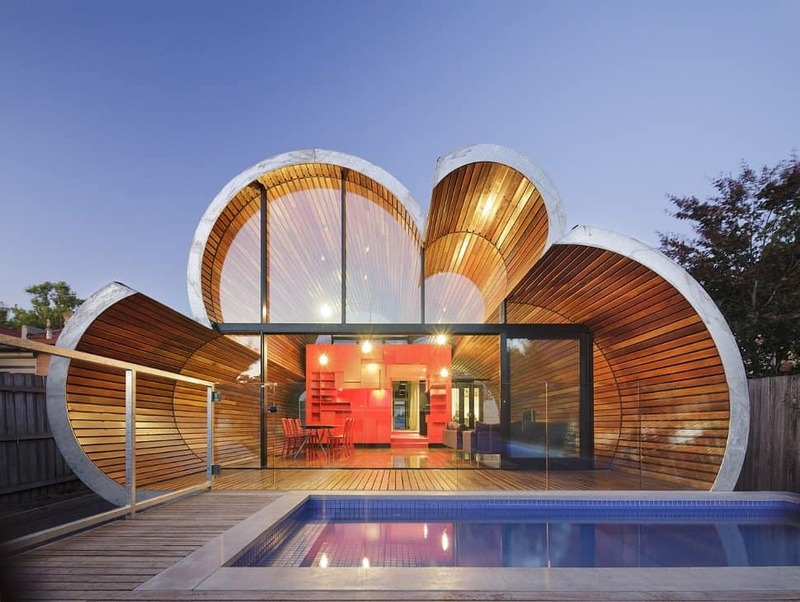 A lot of homes have domed roofs nowadays, but not all are shaped quite like this house. You would think a building such as this doesn’t leave a whole lot of interior room, though there appears to be quite a bit inside. Everything is open and inviting, too. 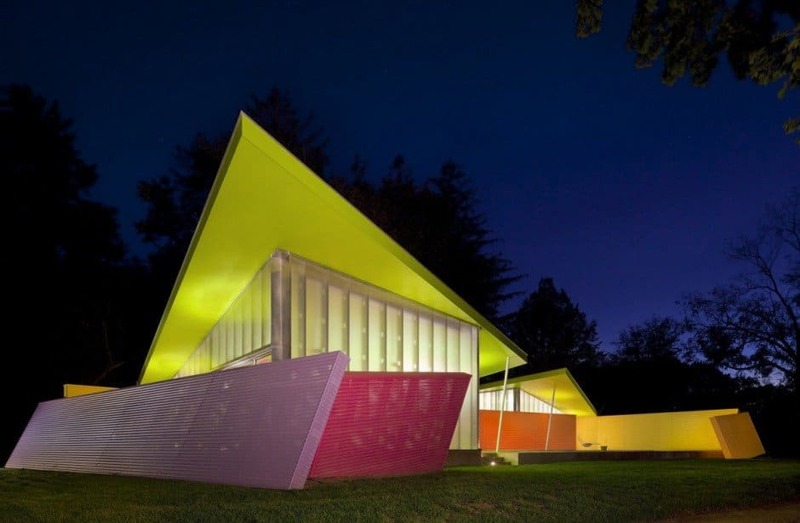 The external area of this house is really eye-catching, as it offers a wide open area. However, the interior appears quite nice, too. The second floor is the most interesting aspect, as it will have the domed roof and the wooden blocks surrounding the outdoor ledge. This home is rather small, and it is set apart from everything else, but that might be its most desirable traits for the right buyer. 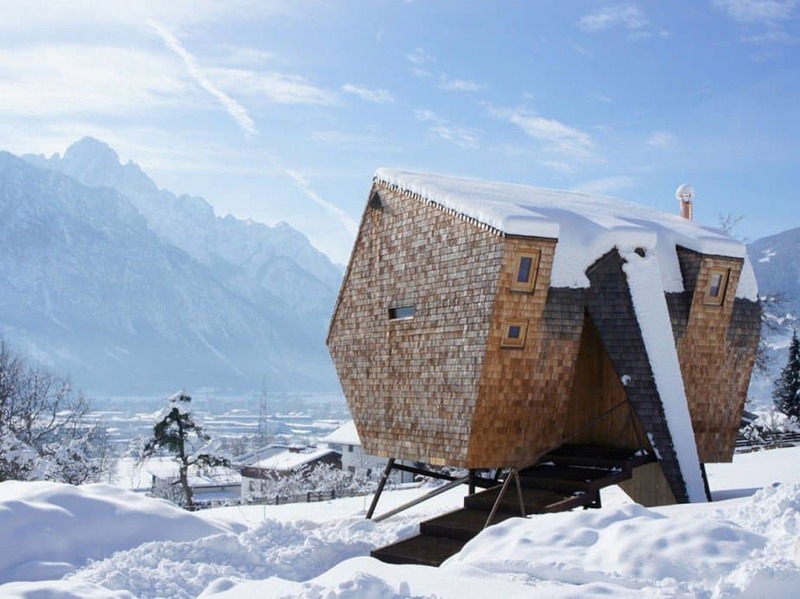 With a view of the mountain on the other side of the valley, there really is no reason not to enjoy this oddly shaped house.